Only $199.00 for one year of outstanding full featured test correction! No connection to the Internet required. Software loads on your PC. You can use your school's MFP to scan the test sheets for correction. 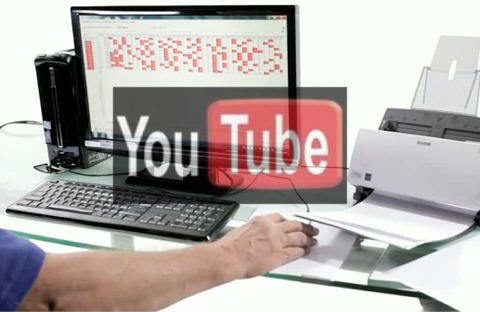 ZIP-scan introduces it's revolutionary new system or OMR Software for your test correction capability using your scanner. The Scoring Machine is called PrintScanScore and is a complete highly-automated software solution that you can evaluate for 30 days at no cost or risk. You can use the Score Machine and simply download the program and use it for 30 days. The QUICK USER'S GUIDE makes it fast and easy to do an initial test. This Exam Correction program has a number of advantages. 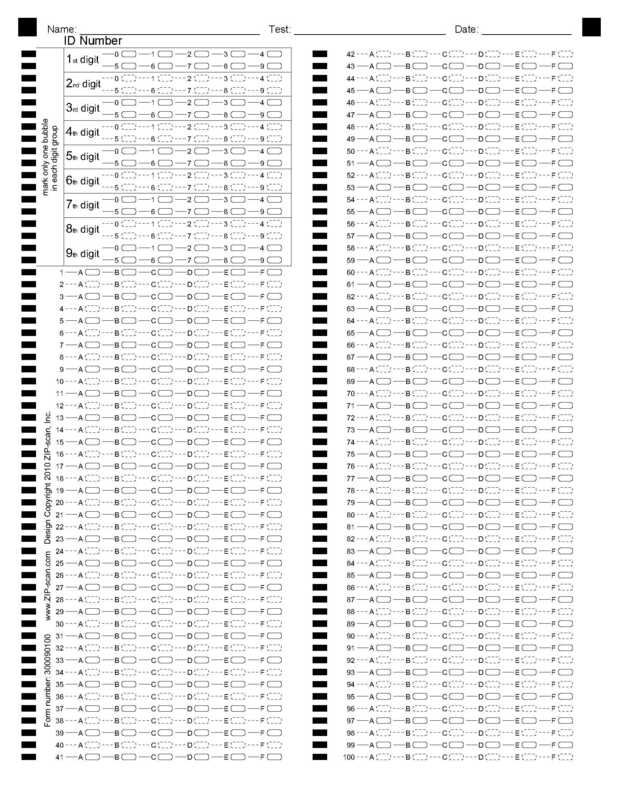 One of the biggest advantages of this solution is that YOU PRINT YOU OWN TEST SHEETS! That's right . . . you no longer have to buy expensive forms from the manufacturer of the scanner and have your Answer Sheets evaluated real quick. For some users this will save thousands of dollars each year. The program has totally changed the way Exam SCORING is done. The PrintScanScore software performs three separate functions which interact with each other to provide a complete solution for creating and scoring tests. Each function is spotlighted below. ZIP-scan provides no-charge technical support at 888-947-7226 (888-ZIP-SCAN). Do not hesitate to call for assistance. 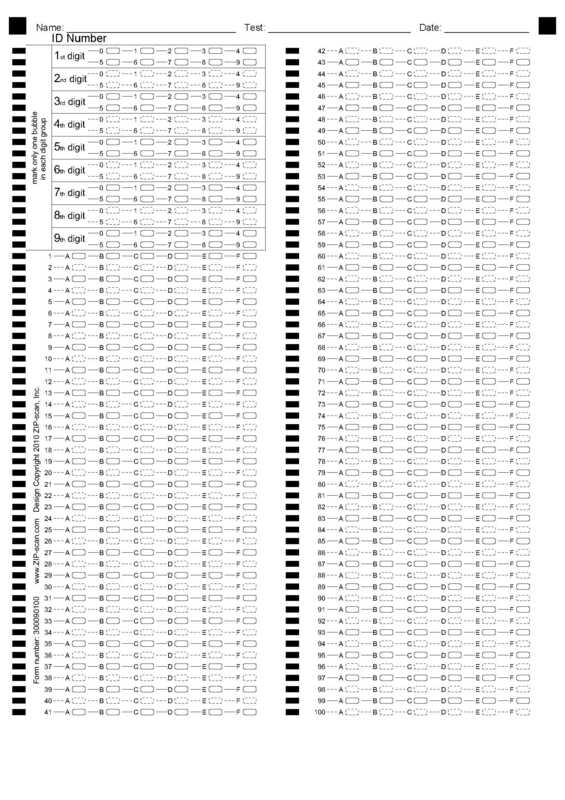 PRINT your test answer sheets by whatever method (inkjet, laser, offset printing) on whatever paper you choose. The test sheet will fit on standard full size letter (8-1/2 x 11 inch) or A4 (210 x 297mm) size paper with a minimum of 100 questions per page (total of 300 questions supported) and from 4 to 9 digit student ID number spaces at the top. 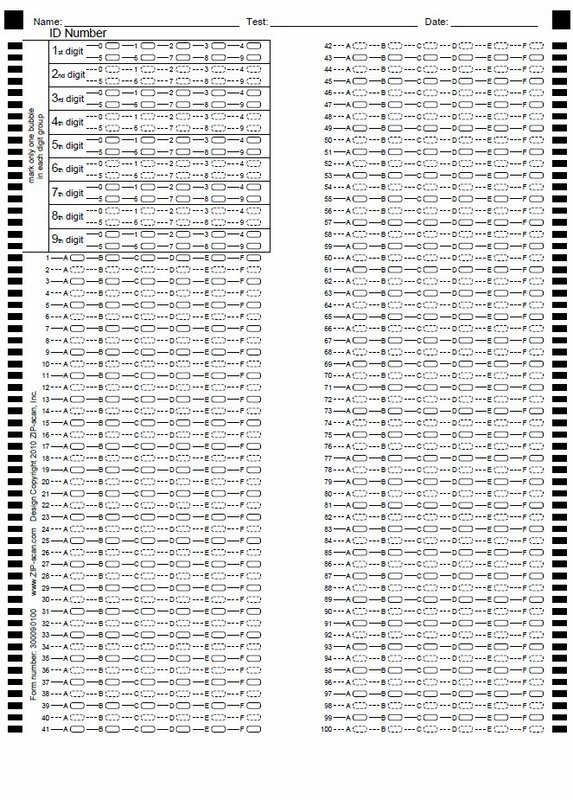 Perfect alignment of the Printable Answer Sheet image on the sheet is not critical since black squares at the top of the form and marks on both sides of the page are used for alignment by the software. When you download the software, there is at the bottom of the first screen a button that enables you to easily print the required test sheets with the proper number of digits at the top for the student ID number. SCAN your test sheets. Virtually all scanners can create Black & White Only, 200 dpi, TIFF images of the test sheets, which can then be quickly scored. PrintScanScore also provides a scanning program that works very well with scanners that are directly attached to the PC using a USB cable, which is the regular method. Many organizations today have a printer that has a copy machine on top of the printer which is actually a scanner that can make .PDF and .TIFF images of the pages. In this case you already have a great scanner to use with PrintScanScore. If the scanner is on the network, you can send to yourself the scanned test sheet pages. You may want to read the Frequently Asked Question section below for more details. SCORE your tests with the included Test Wizard module which is the scoring program that has been developed over the past 10 years for ZIP-scan’s use with its original custom half-sheet OMR scanner. It scores the images of the test sheets and generates an analytical report, a summary report, and individual student reports. The ability to include sub-grouping of questions in the reports is a special feature of the Test Wizard module. No changes have been made to the Test Wizard and it functions the same as the original solution. There are more details under the Scoring tab of this web site. The QUICK USER'S GUIDE makes it easy to score your first practice test sheets. Call 888-947-7226 if you have ANY questons. The PrintScanScore demo software has no feature limitations, but tests for only five students can be corrected and scored. The full feature (non-demo) software has no limitation on the number of students when the software is activated. Note: On the first screen in the middle at the bottom is the button "Print Testing Sheets" which will enable you to print the test forms for your students to use. 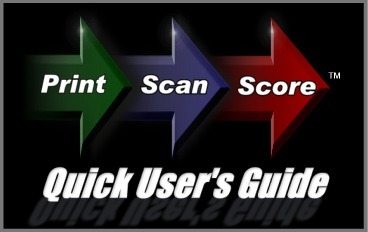 The PrintScanScore QUICK USER'S GUIDE will help you set up your demo software and answer many of the common questions that may affect your initial impression. The QUICK USER'S GUIDE covers just the basic software functionality with limited options and settings. ZIP-scan wants you to have the best possible experience with your evaluation so you can reap the maximum benefit of the program quickly. The full version PrintScanScore User's Guide expands the feature coverage found in the QUICK User's Guide and includes explanations of advanced features that make the Test Wizard such a robust and comprehensive scoring program. Please contact us for the price of the PrintScanScore software program. To purchase the software, you must provide the "Machine ID code" displayed by the software when you click the "Register" button on the left side of the Welcome Screen under the count down of the number of days left in the demo period. After you have provided payment and we have processed your credit card information if a credit card is used, we will provide you with your activation code that is unique to your PC. Put this activation code in the space provided on the Register button screen and the Register button will disappear. On the next start up the software will be fully active with no limitations. Q: Do I need to purchase a scanner? A: Many organizations have a modern printer that has a copier on top that they use to make PDF images of pages. This printer/copier frequently has the ability to email the images of the pages scanned to the user’s email address on the network as an attachment. This is a great feature. You simply need to program into the front panel the option to have these pages scanned as TIFF images in Black & White Only at 200 dpi. Then you send an email with the correct answer sheet TIFF image to yourself. For the student test sheets, you must be certain that each sheet is a separate individual TIFF image. PrintScanScore will not work if the test sheets are simply listed as multiple pages in one TIFF file. Each sheet must be a separate TIFF file in one folder. Your device has this feature, but you may need help in selecting this option. Q: Can I truly use any scanner with PrintScanScore? A: YES. All scanners will create TIFF images of the test sheets in a standard Black & White, 200dpi, format. The TIFF format is a standard for all scanners. 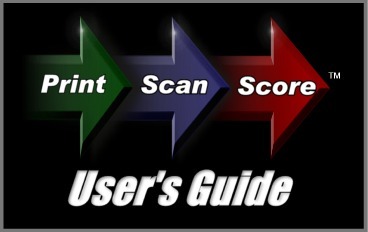 PrintScanScore also provides a scanning utility program what can be used if your scanner is directly attached by USB cable to the PC that has the PrintScanScore program installed. The attached scanner must support the TWAIN protocol which is normal for about 90% of all scanners. Q: Can each test sheet be used multiple times for many small tests to save costs? A: YES. 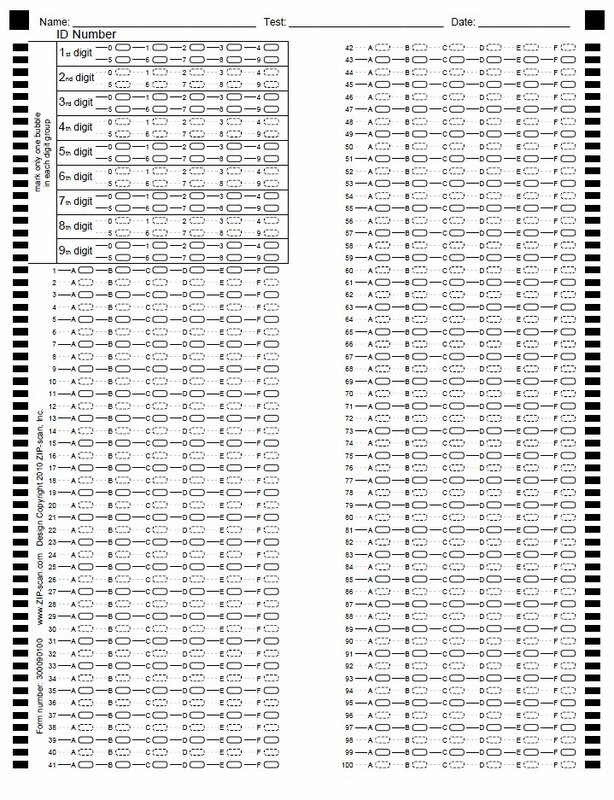 Each test sheet has at least 100 questions and the Test Wizard scoring module has a "sub grouping of questions" feature. Use this feature to report the results for only a small group of questions. Simply give back the same test sheets to the same students multiple times to take many small tests using different groups of questions. Then program the software to only report the results for that specific group of questions and suppress the overall report from being generated. Q: Can I scan test forms at separate sites and send the TIFF images to a central location to score the images with PrintScanScore? A: YES. This strategy will work fine. If you have remote sites that need to print test forms and scan test forms, have them download the PrintScanScore Demo program and use the option on the bottom the first screen to print and scan the test forms and then email the images to the location with the active license. ZIP-scan wants you to be able to quickly evaluate the capability of PrintScanScore.